A possible, just maybe, Christmas week scenario: It’s Christmas week and you still have last minute gifts you need to give but you want to make them homemade because you don’t know what your dear ones would like or want because they are more of an acquaintance from work, or your hair dresser, or your super or the mailman (who always makes sure you get your packages from Amazon safely and securely); and who wants to go to the mall and look for parking for an hour when you have too many things to do before Christmas, so you search for a quick and easy food gift that doesn’t look quick and easy and all without baking a single thing because you baked enough cookies and are cookie-ed out. 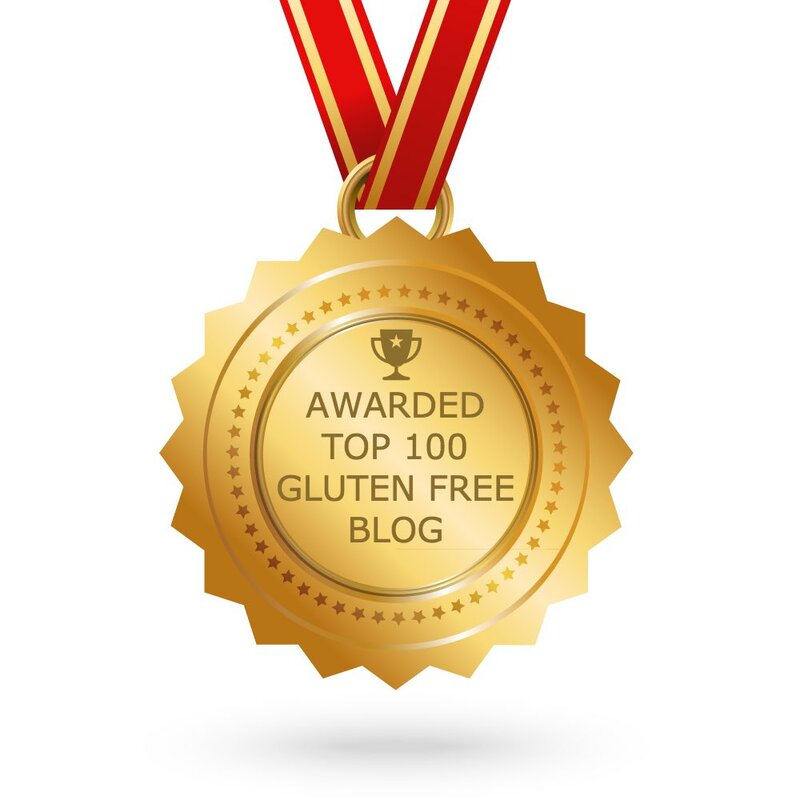 With that, we also need to make it gluten free, dairy free, grain free, nut free and vegan to cover all your allergen bases. 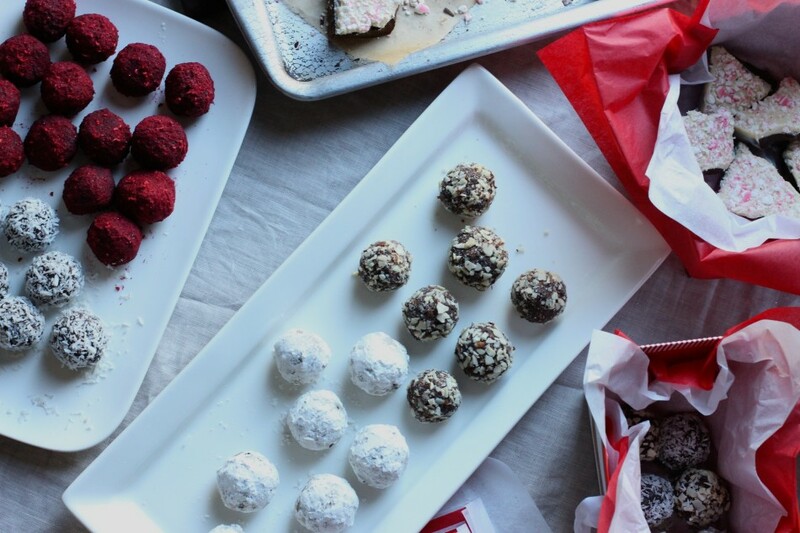 Yep, last-minute Christmas craziness BUT with this super quick and quick truffle recipe you got this! And top them with those suggested in the recipe or use whatever your heart desires, anything goes. For spicy: cayenne cocoa powder? Green matcha powder? Ground up freeze dried mango or banana? Crushed peppermint candy? Seriously, these dark chocolate bites are your blank canvas. And look so fancy pants. Don’t you just love that? 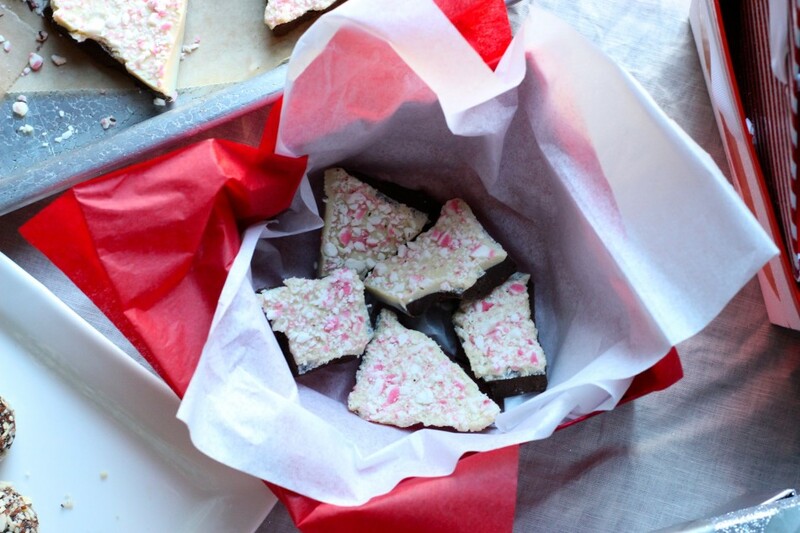 I won’t keep you any longer, hence the Christmas week scenario (okay my scenario), so before I go check out this quick and easy homemade chocolate peppermint bark (gluten, dairy, soy free and vegan also!) 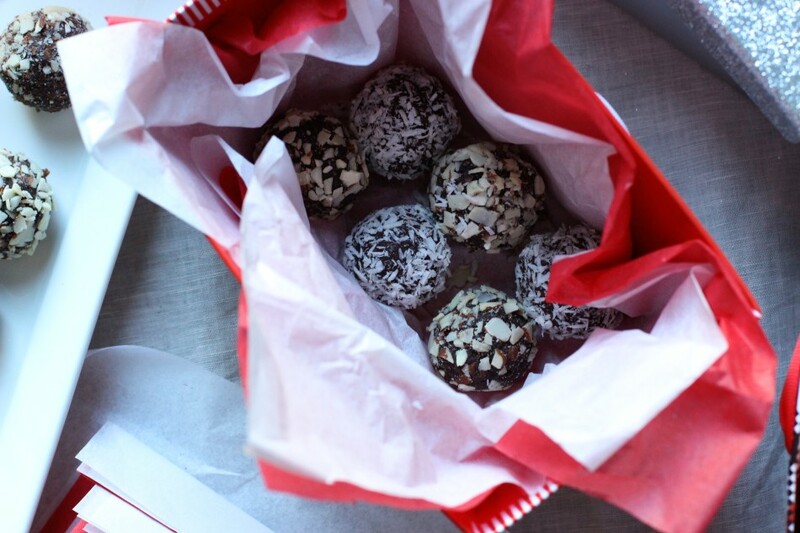 as another easy food gift idea! 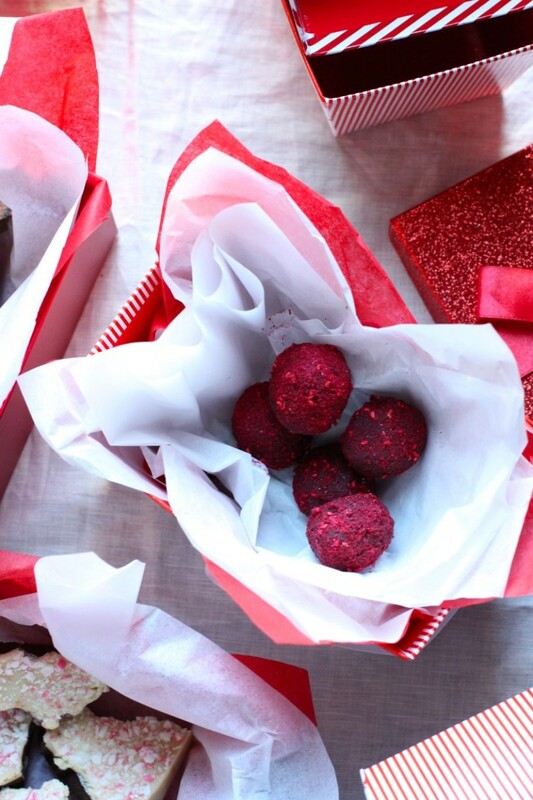 An easy 20-minute holiday gift and who doesn't love chocolate?! Coat with any topping desired...anything goes. 1¾ bags (16 oz or 453 g) dark chocolate chips (I use Enjoy Life) or Valhrona Guanaja 70% chocolate, if soy tolerant. 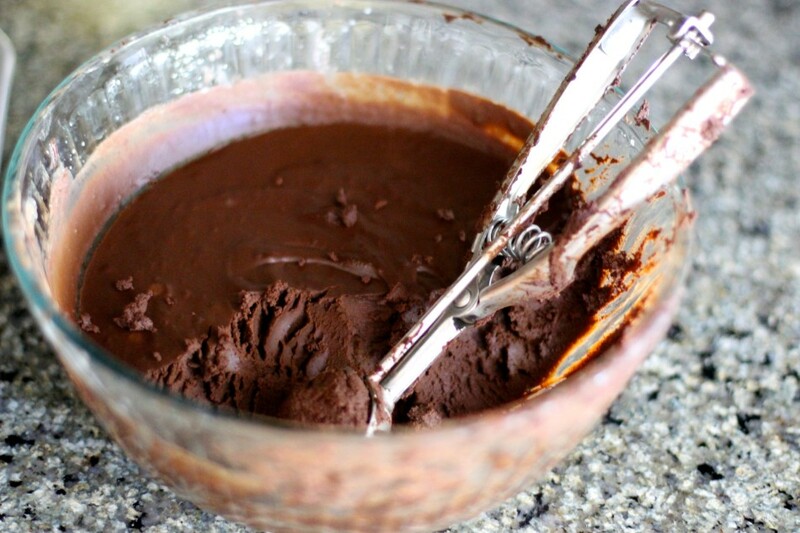 Combine chocolate chips (or chopped chocolate) and coconut oil in a bowl. Set aside. Heat coconut milk in a small saucepan over medium heat to a simmer, just until a few bubbles begin to surface then remove from heat. Pour into the bowl and slowly stir to combine in a gentle motion. Don’t rush and mix too quickly or it won’t combine properly. Stir in the vanilla extract or vanilla bean paste. Cover the bowl with plastic wrap, then place in the fridge to set for at least 4 hours. 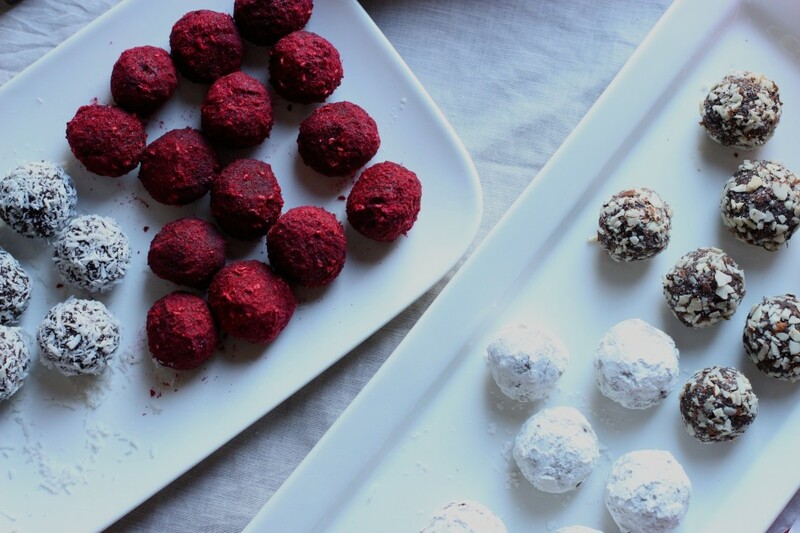 Prepare all the coatings (freeze-dried raspberries, powdered sugar, shredded coconut, almond in small bowls, or use your favorite toppings to coat. 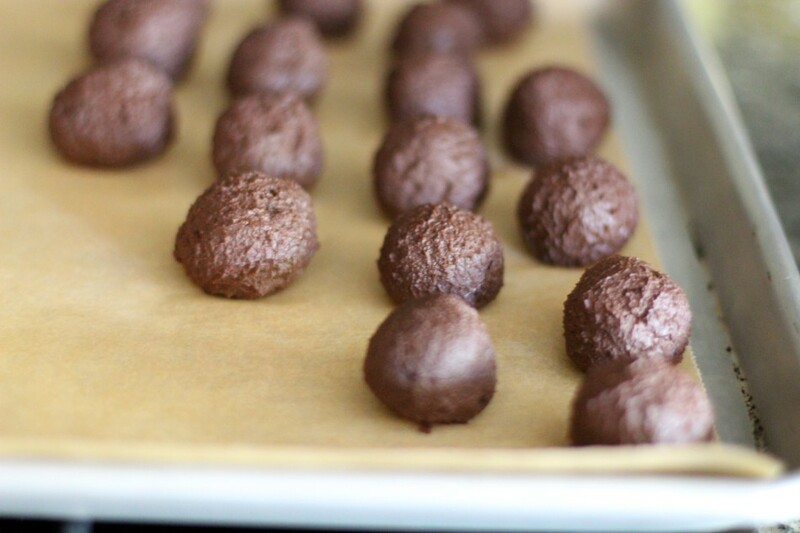 When the truffle mixture has chilled, scoop out balls - using a mini ice cream scooper - filling the scooper about ¾ full. 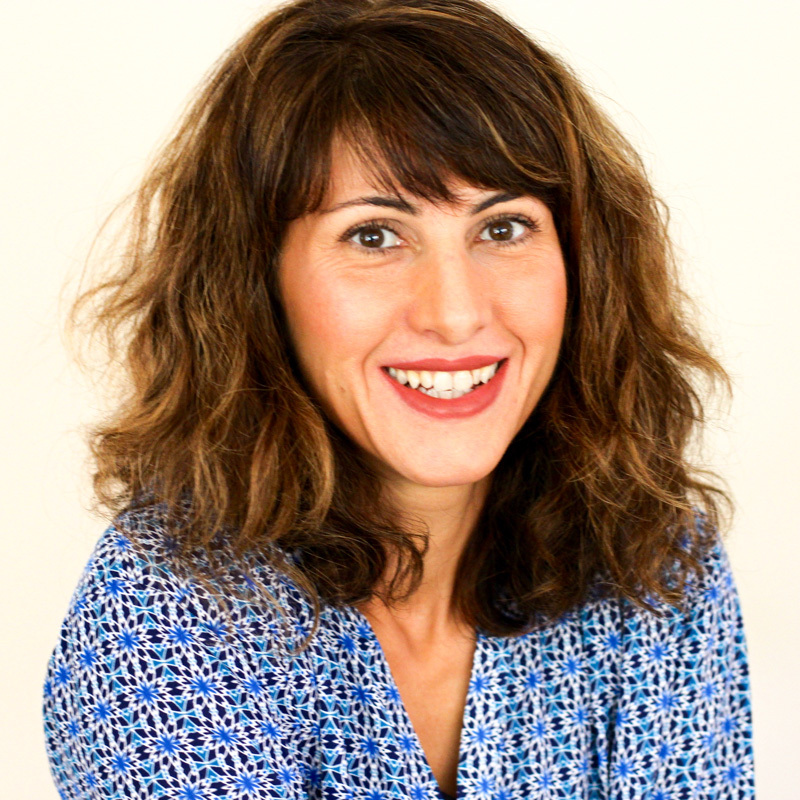 Then roll between the palms of your hands to form a ball and set on a tray or baking sheet. Coat with desired toppings (powdered sugar needs to be coated again after refrigeration) and return to the refrigerator for around 15 minutes to firm up, then serve or package as gifts. 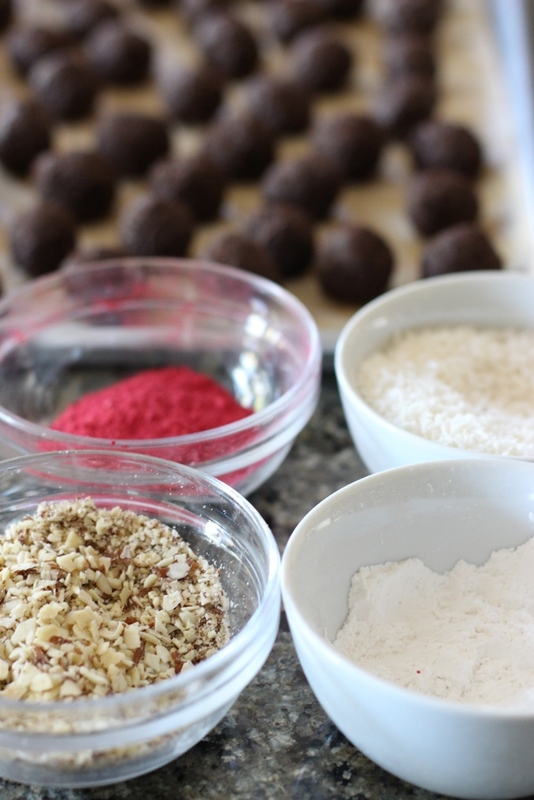 Note: Truffles can be made up to three days in advance then brought to room temperature before coating. Coat and chill as noted before serving or gifting. Never realized how easy this is. Definitely one of those last-minute people with Christmas gifts. Love the idea of a spicy cocoa too!